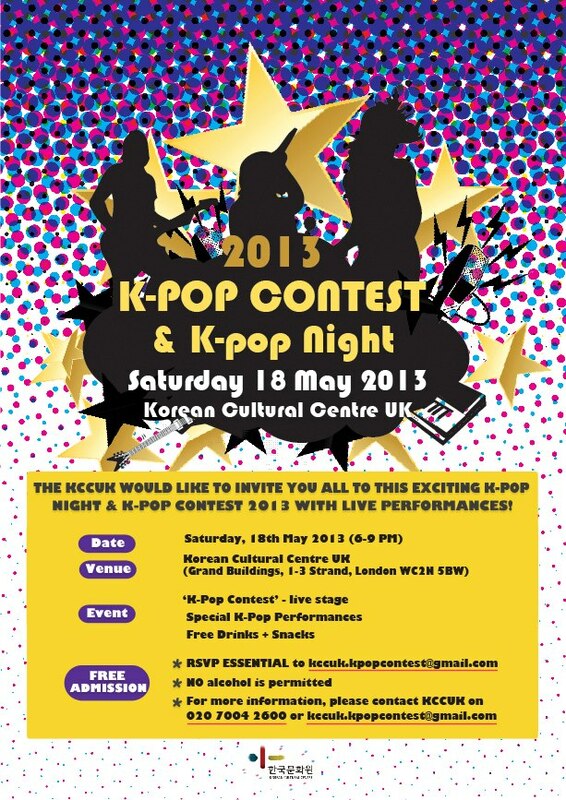 The Korean Cultural Centre (KCCUK) have a special event taking place next week on Saturday 18th May 2013. You will have the opportunity to experience a night of enjoying K-Pop music combined with an exciting K-Pop contest. A few weeks ago KCCUK opened an online contest for K-Pop fans who were required to submit a Youtube video of themselves singing K-Pop songs in Korean and would have to sing their chosen tracks live at the actual contest on 18th May. Did you submit an application to the K-Pop contest? If you did, we wish you the best of luck! For those of you who want to attend this event as part of the audience, please note booking is essential due to limited capacity so don’t waste any time if you want to secure tickets. Previous ArticleHelp celebrate SHINee’s 5th anniversary together with fellow SHAWOLs!